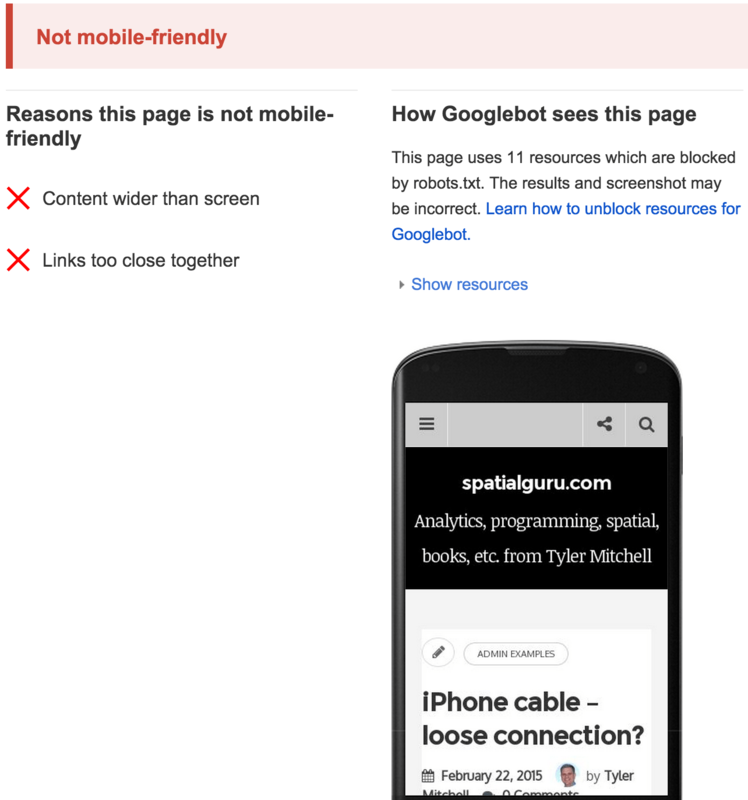 TheNextWeb reports: “Google will begin ranking mobile-friendly sites higher starting April 21“. It’s always nice having advance warning, so use it wisely – here’s how to tweak WordPress to increase your mobile-friendliness. I use a self hosted WordPress site and wanted to make sure it was ready for action. I already thought it was, because I’ve accessed in on a mobile device very often and it worked okay. Try it here, now! The complaints about were that some content is wider than screens and that links were too close together. Fair enough. 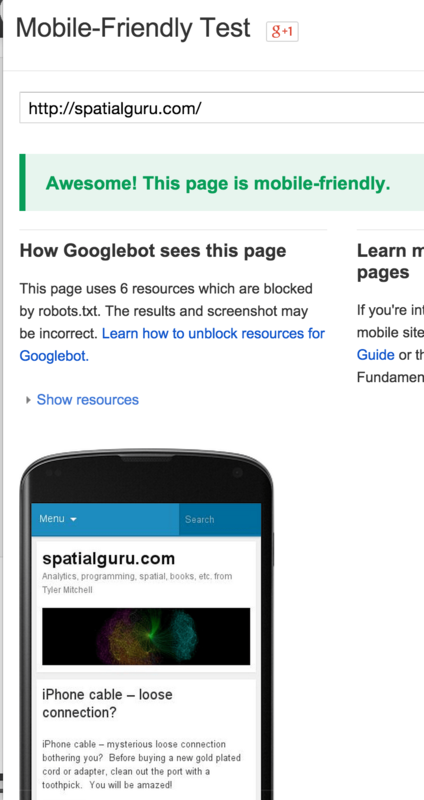 If you’re not already using WordPress’s Jetpack features, you’re really missing out. I use it mostly for monitoring stats but there are several other features that make it very useful, including one called Mobile Theme. From the admin sidebar select Jetpack (install it first if not already enabled). It will show you some suggested plugins to enable, plus show you a search bar to find others. Enter “mobile” and click on the Mobile Theme item. Activate it (lower-right corner button). Going back to Google’s checker it shows a different preview now and also says things are fine. Looking at the site after making these changes, it’s obviously better. However, I still have one plugin (Crayon markup) that helps display code samples that seems to force some posts to wider than the screen. I assume the plugin creators will fix that up, but it’s not too bad at this point. Unless Google complains, it doesn’t matter anyway! ← iPhone cable – loose connection?